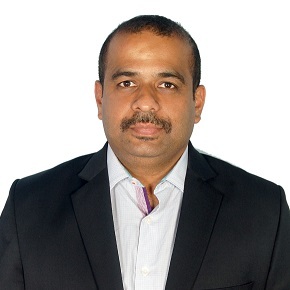 Raghuveer Madyastha, with over 15 years of industry experience is a Business Head in the Industry Sales Group of Sales and Marketing Group at Intel Corporation. In his role he engages with leading Cloud Service Providers of the region for developing new cloud based services and increase the pace of technology adoption. Raghuveer regularly shares his views and customer’s feedback with domain experts with in the company’s technology development group for cloud computing that include silicon and optimized system design, data center management, security and facility optimization. Raghuveer joined Intel in 2005 as a Platform Manager and has spent his Intel career in Reseller Channel and Enterprise Business division. Before leading Business operations for the Industry Sales Group, he served as Platform Manager and Technology Specialist focusing on Intel Architecture based solution and introduction of several Enterprise Platforms. Raghuveer worked in different capacities and leadership roles in Dowjones-Telerate, Sun-Oman Computer Services before joining Intel.